Join the race from Missouri, across the plains and mountains to California and back again as brave Pony Express riders and their supporters along the route work to get mail across country in just ten days. It is an outstanding task in the years 1860 to 1861, and only a few are up to the job. 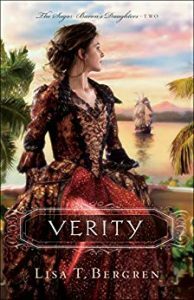 Faced with challenges of terrain, weather, hostile natives, sickness, and more, can these adventurous pioneers hold fast, and can they also find lasting love in the midst of daily trials? An Express rider promises to help fulfill Abigail’s dream to return to her childhood home. Jacob doesn’t trust him, but what other option does she have? 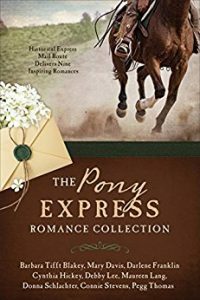 BethAnn along with her little sister are running from a mistake and find security at a Pony Express station and love in the quiet affection of a shy Pony Express rider. 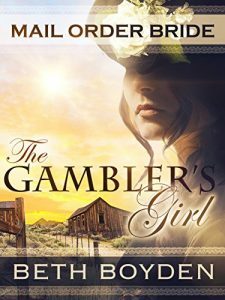 Gambling debts drive Caroline Adams’s estranged father away from the Chelan Swing Station before her arrival. 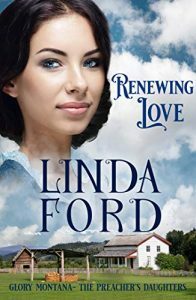 Can his replacement conquer the temptations goading them both to prove himself worthy of Caroline’s love? Widow Sadie Mathewson wants to find love again. 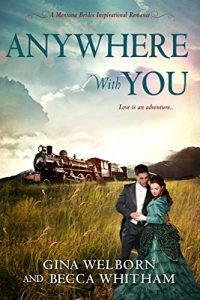 But when an injured pony express rider shows up at her station, love finds her in an unexpected way. Chip Nolan must dispatch the letters his brother can’t after being left for dead on the Pony Express trail. One letter stands out, addressed to “My Dear Adora”— stirring Chip’s heart before he even meets its recipient. Kimimela works at a Pony Express station where she struggles to cope with the death of her sister. 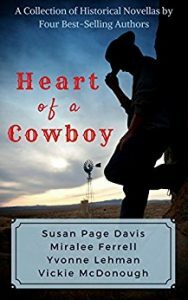 When she’s kidnapped by gun smugglers, can her friend, Pony Express rider Gabe, rescue her in time? A mail order bride. A crippled stationmaster. No way out for either of them—except with each other. 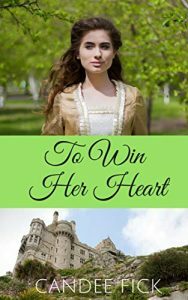 Can they surrender their hearts and find true love? Unfulfilled goals haunt Fletcher and Mercy at a remote Nebraska outpost, but unexpected circumstances may offer a last-chance opportunity to pursue the dream of riding for the Pony Express. Every week for the last two years, E.V. Renier has petitioned the local brewery magnate for permission to marry his daughter. Despite receiving a sound rejection each time, E.V. continues in hope of proving the faithfulness of his character. 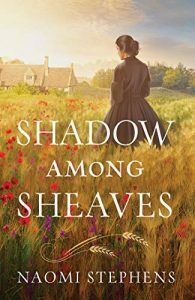 Heiress Larkin Whitworth has no idea of the quiet yet charming sawmiller’s devotion. Not until awful rumors about her rip through the town. 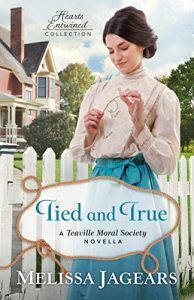 As the annual Christmas soiree approaches, Larkin fears E.V.’s love might not be as strong as the shameful truth she’s trying to hide. 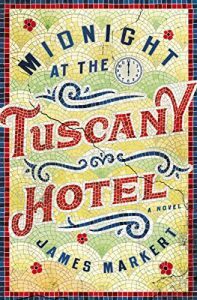 A seemingly forgettable evening of second-rate vaudeville entertainment proves lethal when Constable Jasper Forth and reporter Ray DeLuca witness the onstage death of the actor Stephano. Was this the performance of a lifetime or merely opening night of the next intriguing case for Jem DeLuca and Merinda Herringford? Hiding from Toronto’s dreaded Morality Squad in the back alleyway of the theater, Jem and Merinda encounter a mysterious musician who steps out of the shadows to tell them a murder has occurred inside. Jasper and Ray join the detective duo backstage and begin to interview the rest of the troupe, a veritable casting call of possible suspects, every one of them with more motives than talent. Can Jem and Merinda foil this plot before a fatal encore ensues? This Herringford and Watts adventure in four acts will keep you on the edge of your seat until the final curtain closes on yet another enthralling whodunit. 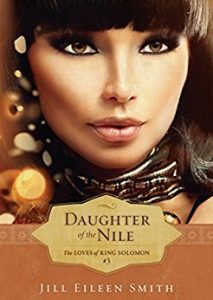 Shortly after entering Egypt with her husband, Sarai is taken into Pharaoh’s harem as his newest, most favored concubine. 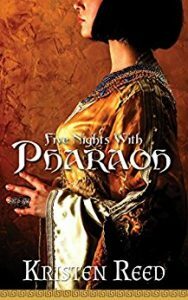 The breathtaking, ageless beauty is forced to cling to her faith in God as she prays for the strength to accept her new position and endures a series of mysterious plagues that can only be indicative of a wrathful deity’s divine judgment. On the run with two small children and a third due within weeks, Adeline Spencer fears the approaching blizzard will seal their fate. An abandoned cabin is an answer to her prayers. She hopes it will shield them from both the storm and the enraged brother-in-law hot on her tail. 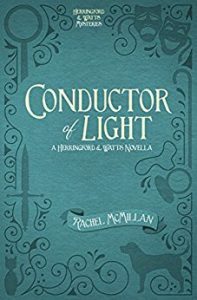 But when a stranger knocks at the door, she is convinced they have been found by one of Ward’s lackeys.Blamed for the death of his friend, Sheriff Jonah Hale is determined to prove himself worthy of his badge, even if it means riding into a blizzard to check on a crazy miner. When Jonah reaches the cabin, he’s caught off guard by a pretty and very pregnant young woman wielding a skillet. 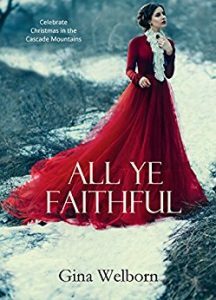 Bound to a chair while the storm rages, and as Christmas settles in around them, he must find a way to earn Adeline’s trust…and perhaps her heart. 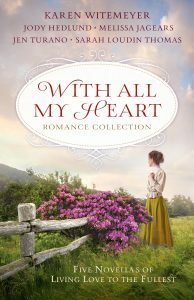 When Marlys Boyd moves West hoping to find acceptance for her doctoring skills, she’s surprised to find her former fiancé, Sam Mason, running the local newspaper. 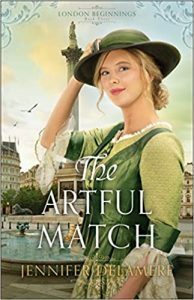 And with the ladies in town determined to make a match of the doctor and the single father, she’s not sure she can resist building the family they once dreamed of. 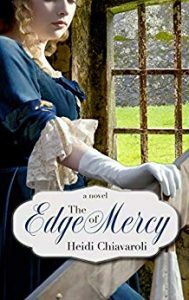 Pregnant by a man who betrayed her trust, a mail-order marriage is Beatrix Haas’s only hope. 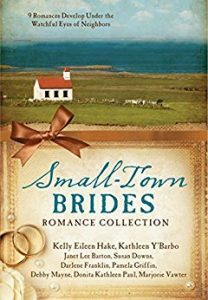 But when she arrives in Cowboy Creek and learns her intended groom has died, she needs a new daddy for the baby that’s coming right away. 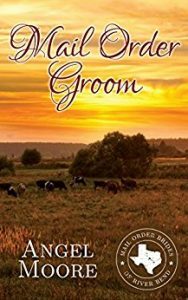 Blacksmith Colton Werner offers the mother and child the protection of his name, but can their marriage of convenience ever lead to true love? They’ve weathered a lot worse than winter. For widow June Harper, another cold front is about to hit. Most call him Hugh. 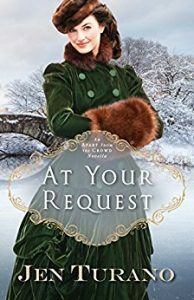 She’d call him Scrooge, except as the man ensures her needs are met, June can’t help but wonder how to meet the needs of his heart. Netty Lewis can take care of herself, has for a while now. Some hired help over the holidays doesn’t change that. And even if Roy does take care of her, that doesn’t mean he cares for her or that he’ll stay past Christmas. Pastor Colton McCabe is having the opposite problem. He’s not sure he’ll make it through the holidays with his new housekeeper. Grace can’t seem to do anything right but love. 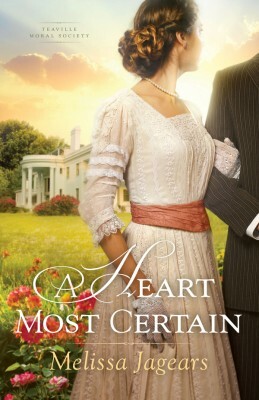 Perhaps being a homekeeper will earn her a permanent residence in his heart. 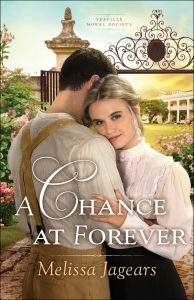 And no one longs for a home more than Connie Lancaster. 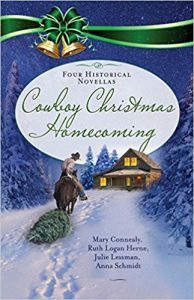 She’s determined to return to St. Louis, and no cowboy can change her mind. But if Isaac can change her heart, maybe Connie will see the homecoming she’s been waiting for isn’t to a place but a person. Elizabeth Simmons longs to escape the mold society has for her and realize her dreams of independence. 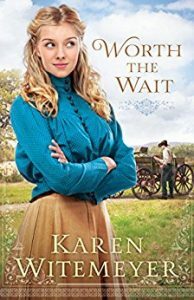 When offered a job caring for an injured family acquaintance, Elizabeth gladly leaves her pampered life in Philadelphia behind and sets off for the newly-formed Arizona Territory. However, she soon discovers the awful truth behind her new arrangement. 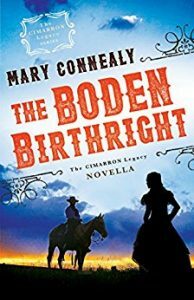 Michael O’Roarke stepped away from bright prospects back East in order to keep tabs on his unprincipled father in frontier Arizona. 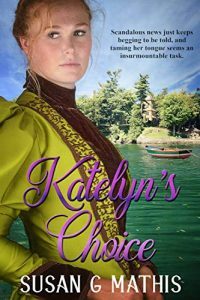 That burden, along with the demands of starting his own freighting business, claims all his attention…until he finds himself captivated by the feisty Elizabeth. Will losing her heart to Michael undermine the independence Elizabeth has worked so hard to achieve? Or could this land of danger and hardship also prove to be her land of promise? Dillon Pine is in jail for a conspiracy charge, but because of certain mitigating factors, he’s deemed a good risk for an unusual form of probation: serving as Audra’s husband. After a year, he can abandon her and she won’t tell. By then, she will have proven to the cowboys she’s a competent rancher, and the cattleman next door will be looking elsewhere for a wife. 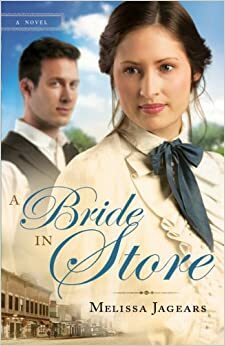 But when word gets out that Dillon came to Audra via Evergreen’s matchmaker, he’s dubbed a “male order bride.” The resulting jokes at his expense are constant and brutal. Just how much abuse can Dillon’s pride stand? 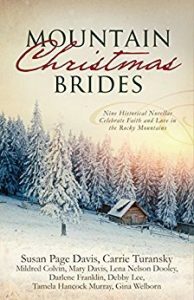 From a Wyoming ranch in 1880, to a logging camp in Washington Territory in the late 1800s, to Denver, Colorado, in 1913, meet nine couples who find that Christmas is the perfect time for climbing to the heights of romance. 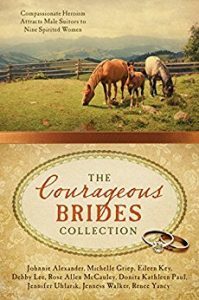 Watch as their faith and courage propel them through challenges that come with mountain winters to cozy fireside celebrations that lead to lasting proclamations of love. 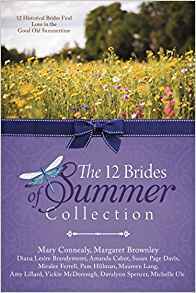 Penned by an exclusive selection of Christian fiction authors—including Susan Page Davis, Vickie McDonough, and Carrie Turansky—this collection of nine romances is one to treasure. 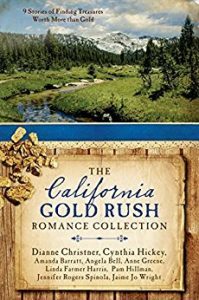 Rush to California after the 1848 gold discovery alongside thousands of hopeful men and women. Meet news reporters, English gentry, miners, morticians, marriage brokers, bankers, fugitives, preachers, imposters, trail guides, map makers, cooks, missionaries, town builders, soiled doves, and more people who take advantage of the opportunities to make their fortunes in places where the population swelled overnight. 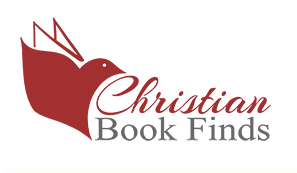 But can faith and romance transform lives where gold is king? 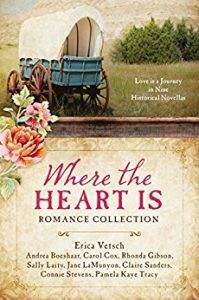 Ride into adventures alongside nine determined women of yesteryear whose acts of compassion and bravery attract male attention. Marcy helps displaced Indians. Emmy tends wounds at Fort Snelling. Ronnie stows away on a cattle drive. Daisy disguises herself as a Pony Express rider. Elinor becomes an abolitionist. Mae tames wild horses. Hannah gets help for accident victims. Lucy’s curiosity unnerves criminals. Kate nurses soldiers on the battlefield. Will real dangers douse the sparks of love? 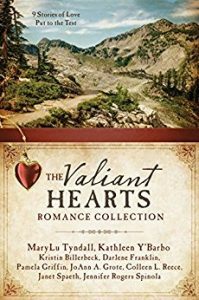 Join brave women who take on wars, social injustices, and westward expansion, living to find love and build a legacy in these nine stories of historical romance. 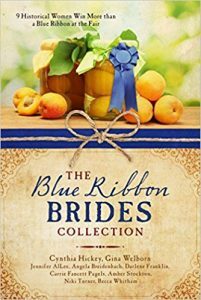 From Virginia west to Oregon, meet Lucy, a nurse; Helen, a bookkeeper; Permelia, a farmer; Birdie, a seamstress; Francie, a writer; Collette, a widow; Christiana, a midwife; Glorie, a nurse; and Josephine, a maid, who each have their ordinary lives disrupted by mysteries and challenge—and extraordinary love. 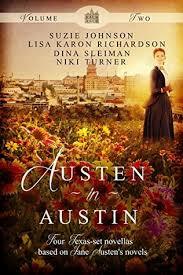 Join the fun and feel the romance in various historical communities from Massachusetts to Florida, Missouri to Texas. Meet ladies who take firm stands for their work in mills, orphanages, churches, schools, hospitals, and the like as they dance through courtship with their beaus. 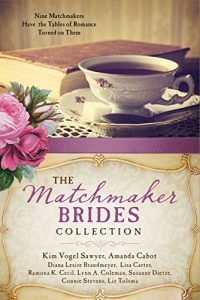 Can the nine couples develop lasting loves under the watchful eyes of their neighbors? 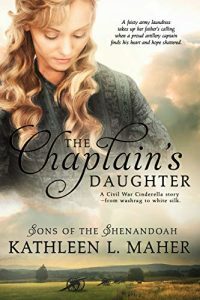 The daughter of a powerful army general, Evelyn White vows she will never marry a man in uniform. Which is why Clyde Baxter, a West Point cadet on the verge of graduation, presents a problem. 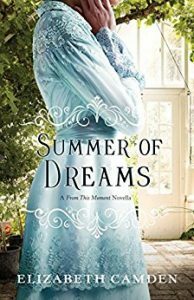 Their attraction is instantaneous, but it threatens Evelyn’s lifelong dream of going to college. Clyde’s brilliance in the new field of electrical power has him poised for a promising career in the Army’s Corps of Engineers. 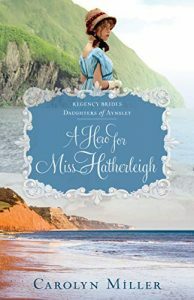 The one thing he never anticipated was Evelyn White, a woman whose soaring ambition matches his own. 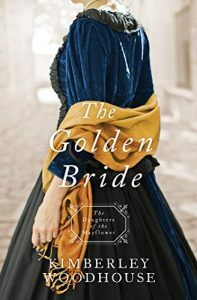 After the death of his wife, prosperous businessman Chance Boden heads west along the Santa Fe Trail with his son to escape the powerful, controlling hands of his in-laws. 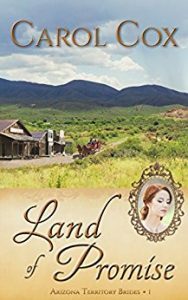 He has plans to establish his own ranch, but instead he finds work with Frank Chastain, owner of a vast amount of land. Chance doesn’t want to work for anyone, but Frank’s beautiful daughter gives him reason to delay buying his own holdings. 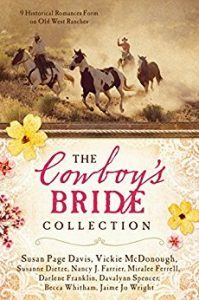 With winter coming, no home in which to live, and Veronica’s offer to care for young Cole while Chance learns the ways of successful ranching in the desert, Chance has little choice but to accept the Chastains’ offer to stay on. 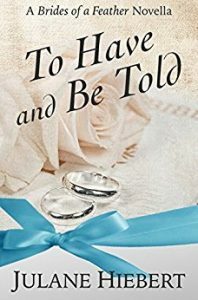 When Frank is attacked, his dying wish is that Chance marry his daughter, but after dealing with his in-laws, Chance isn’t going to let anyone come between him and his son. 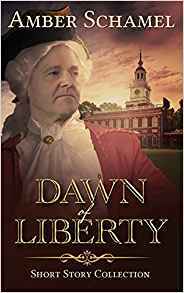 Then Frank’s precarious hold on the land he received as part of an old Spanish Land Grant forces Frank to make a desperate choice to save Veronica’s inheritance–and also gives the men who attacked Frank reason to come after him. It’s springtime, when a young woman’s fancy turns to thoughts of . . . that swoony fellow who works in Menswear. Meanwhile, Marjorie Corrigan’s trying to keep up with her crazy sales-clerk job at Marshall Field & Co. 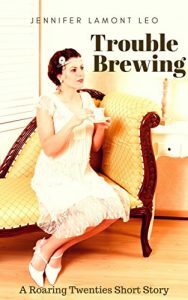 But who can get a good night’s sleep when the landlady’s brewing up some kind of trouble? 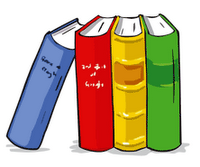 A fresh, breezy short story to brighten your day and lighten your heart. What if your long-distance sweetheart was an up-close disaster? Ann Forsyth arrives in Texas on a hot summer day. 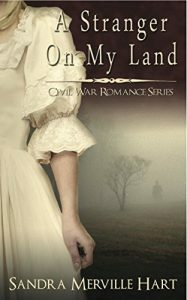 She’s left her troubles far behind, and all she wants is to settle down with Reichard Monroe. He’s handsome, his penmanship is good, and he says he’s everything she’s dreamed of. But the stories he told and the man she meets have nothing in common. 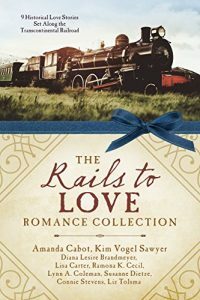 Can Abby and Sam fight their way through the danger and violence and live long enough to find love? Texas, 1880. Abby and Sam pursue a band of raiders to rescue their younger siblings. Abby’s father is gravely injured, and she knows she can’t return home without her little sister. Sam’s father wants to thwart his powerful Mexican father-in-law and stop him from taking Pablo to live with him south of the border, but once he has Pablo back, will he continue the search for Abby’s sister? Abby and Sam feel it is up to them to keep the recovery mission on track. 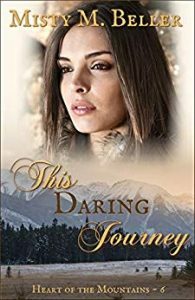 Though romance seems to have no place on the trail of danger and violence, can this journey draw them closer? 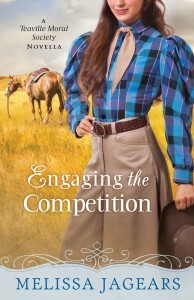 Mercedes Taylor is determined to save her ranch after her father’s death, but she won’t let anyone help—especially not her old friend Jesse Townsend who deserted her so many years ago. The pain his family inflicted on hers goes too deep for her pride to forgive. 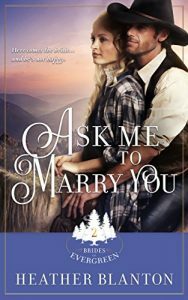 After riding the trail for five years, Jesse Townsend returns to his family property to find the girl he’d once loved all grown up—and more prickly than he’s ever seen her. After his mare is seriously injured, he has no choice but to call on Mercedes—the local animal doctor—for help. 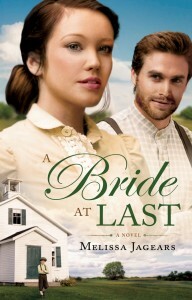 Add the attractive banker’s daughter who Jesse seems smitten with, and trouble starts brewing. Can Mercedes and Jesse set aside the old family feud and find their way back to the love that had only started to blossom when Jesse left? Julie Hayes must escape from Wildcat Mountain. Her mother died, leaving her with a step-father she doesn’t trust. James, who she thought would be her means of escape, is gone. 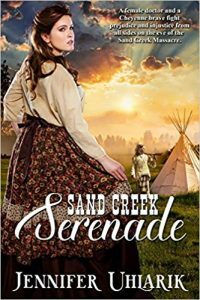 Her only hope is to approach the cowboy, saddleback preacher Timothy Sullivan, when he makes his circuit into Wildcat Mountain. She asks, “Will you marry me?” He says, “Yes, of course,” expecting to perform a ceremony for her and James. Believing Julie is in danger, Timothy takes her to the Sullivan Ranch. 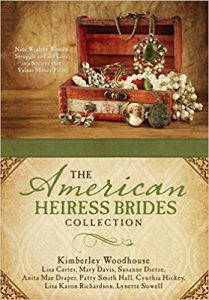 Suspicions abound when she’s accused of stealing a horse and jewels. 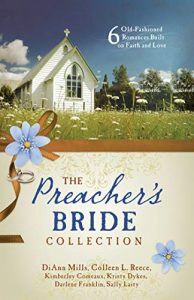 While Julie is trying to become the kind of woman a preacher would want to marry, Tim is trying to realize his ranching dreams, which don’t include being a circuit riding preacher. Ellen Stewart despises Lance Garrett. If not for him dashing into Isabelle’s life and stealing her heart and filling her head with his dreams, her little sister would still be alive and safe at home. 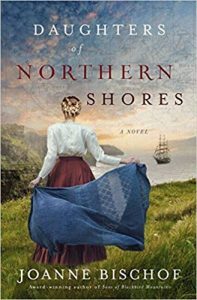 When she receives Lance’s letter requesting help, Ellen rushes to Silver Springs, intent on taking charge of her young niece. A rugged ranch is no place for a motherless baby. But when she realizes the depth of Lance’s despair, she can’t leave him alone. 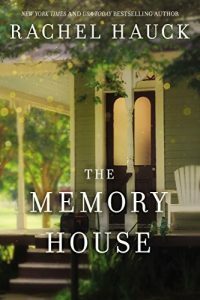 Though everything within her wants to flee back to the big city, something makes her stay. 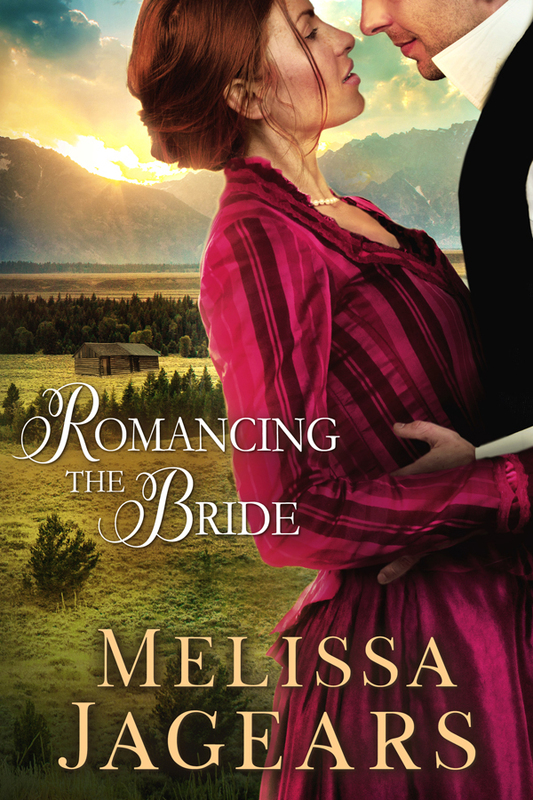 Tessa needs her father, for one—and he needs her. Ellen knows what it’s like to lose all she’d dreamed of. 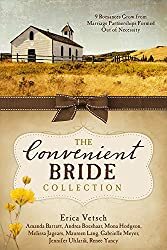 When local church members make a stink about Ellen living at Lance’s ranch, they are forced to marry. Ellen didn’t want a hand-me-down husband, but could their marriage be God’s will for them both?